Until recently, I've always been fortunate enough to make a comfortable living. But since I lost my job in August, things have been rough. Thankfully, I didn't stay unemployed for long, but my current job pays $15K less per year than my old one. And my bank statement paints a bleak picture. I'm losing more than $1,000 each month, and that's just from paying my living expenses. 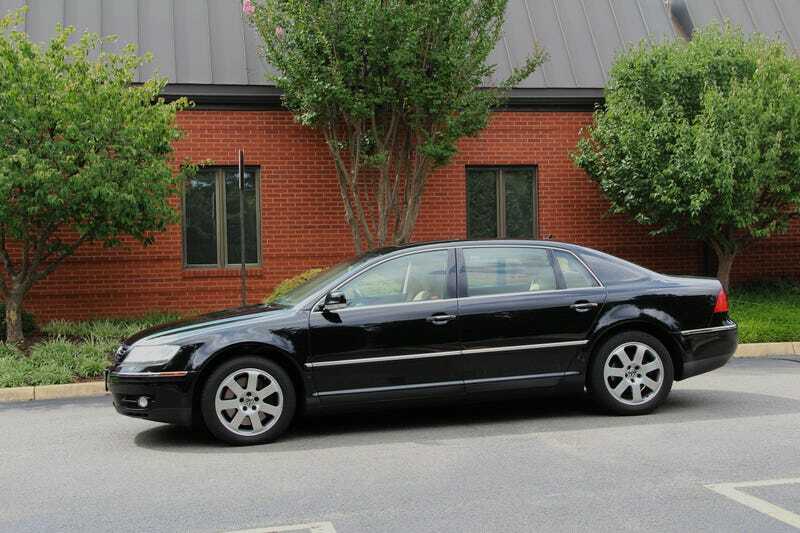 The Phaeton is due for its 90K service, and for the first time in my life, I don't think I can afford it. It needs new pads and rotors, and I think when all is said and done, it's going to be more than $3K worth of maintenance. I'm trying to adjust to my new, lower income. I've scaled back and I've altered my standard of living. No more traveling. No more going out to eat. No more snacks. The heat stays below 70. Next, I'm probably going to cancel my cable. But it's not enough. It's looking like I either need to give up my house or the Phaeton, and the very thought breaks my heart. That being said, I'm not giving up yet. I still have some savings, and I'll see how badly I get gouged on the 90K service. But if I do end up having to put her up for sale, you guys will hear about it first. This car is a part of me, and things would have to get very desperate before I would say goodbye.